Kasarinchu is a duo from Kasari Cho Amami Island, Kagoshima Prefecture. They formed the duo after singing together at friends’ wedding. Tatsuhiro’s clear and tender vocal and Kosuke’s earthy vocal , both as main, creates great contrasts. Their music rests on acoustic guitar and human beat boxing, which is a rare musical style in and outside of Japan. 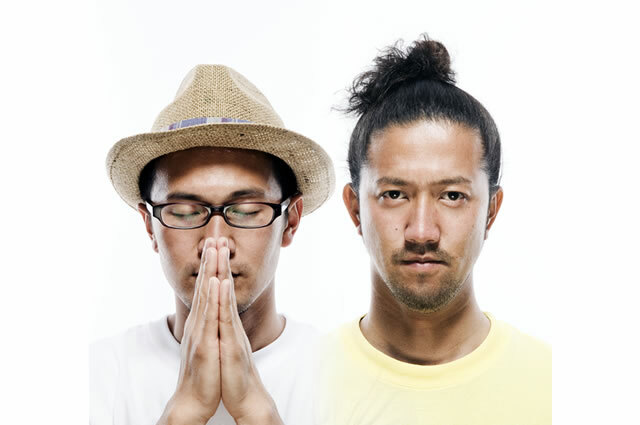 They mix soul music, funk, rock and J-pop over the straightforward or twisted lyrics on their view for the daily life. The subject matters vary from “The room they live in”, “Cultivator vehicle” to “Insects”.